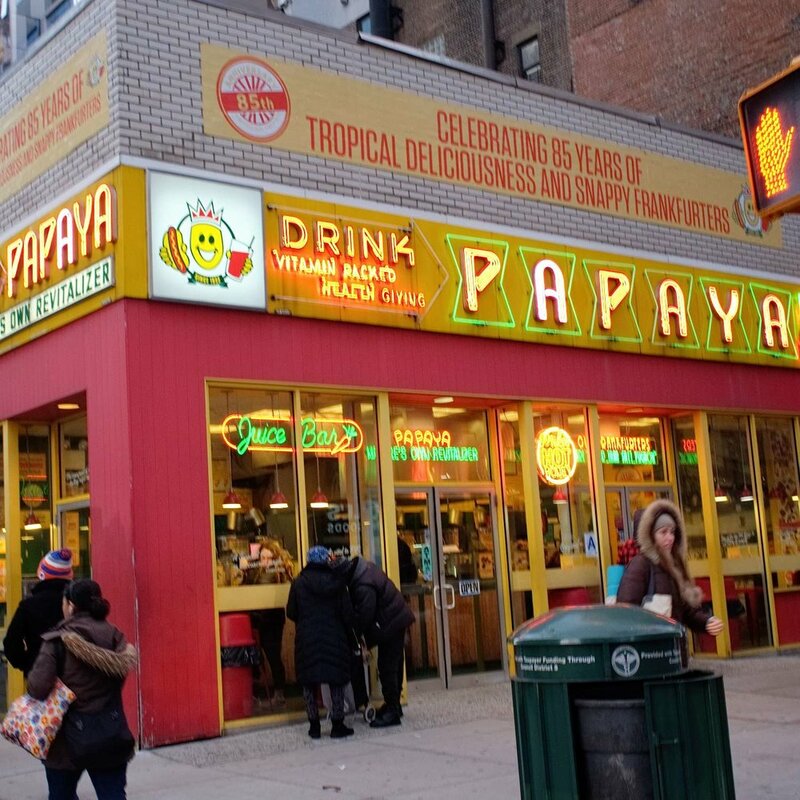 Papaya King is a classic New York City tradition. There used to be many more locations and there is at least one competitor. They are typically open 24 hours 365 days a year. Papaya juice and a hot dog or your basic bacon, egg and cheese on a roll for breakfast are very popular and very inexpensive. You haven’t truly experienced NYC until you’ve eaten at Papaya King. Oh, I should mention that they’ve been in business for 86 years!